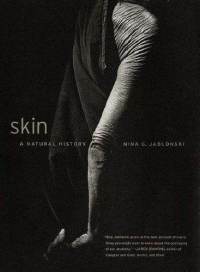 I was at an amazing conference called PopTech in Camden, Maine a few years ago and heard a woman named Nina Jablonski talk about a book she had just published called Skin: A Natural History. It was a fascinating talk from an anthropologist standpoint on what our skin does for us and what we do to it in return. Check it out when you get a chance. This week has me thinking a bit more about how I treat my skin, my body’s largest organ. When it comes to the things I put on my skin, I would say I’ve been known to get caught up in some of the “look younger” crazes out there, although less and less these days. Might be the move from LA to Colorado, I don’t know. As I’ve been researching homemade natural skin care products, I came across the Story of Stuff Project which has a really well made video about the Story of Cosmetics. I don’t normally get into political stuff or preachy things on my blog, but I thought I’d put this up there to see what others thought about it. I’m also posting a counterpoint by a guy who takes issue with a lot of their claims being unfounded. While I feel like the first one is a little on the fear mongering side (did you really have to take it as far as poisoning babies? ), I do think it presents some interesting facts and questions I’ve started thinking about a bit more. I think the critique also presents valid points, but I found myself wondering why the guy was countering with the fact that people have sort of studied these things that may or may not be harmful. At the end of the day I agree with Annie Leonard that if companies can make more of an effort to make things with natural ingredients we know are good for us, much less won’t harm us, all the better. And if I come out still looking beautiful? All the even more better. it’s all very curious, because according to this logic women should be dead. seriously… the average women puts on 30 different products in 2 hours in the bathroom. But yet women are living longer than men. Yes this is bad math because I know there are a gazillion other statistical factors that contribute to mortality rates. Hmmm…… next time I get kisses from women: put the lead on my hair not on my neck. You are currently reading an interesting debate about skincare at 52 To Do.